Regenesys Physical Medicine Providers Christina A. Cochran, D.C.
Christina A. Cochran, D.C. is excited to be joining the Regenesys provider team as an Associate Chiropractor. She has been in private practice since 2008. 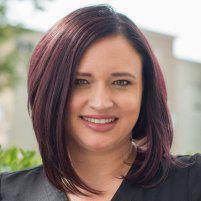 Dr. Cochran is from the Ft. Worth area, and she practiced in Texas for 6 years before her husband’s military career moved her and her family to Virginia Beach, VA in 2014. While in Virginia, Dr. Cochran opened her own practice and grew a large following of great patients. In 2018, her husband’s impending military retirement gave her family the opportunity to relocate back to Texas, and they are happy to be home. Dr. Cochran has worked with thousands of patients over her professional career. She has helped many pregnant women navigate the various conditions associated with pregnancy, injured athletes return to the game or competition, as well as helping elder patients enjoy their retirement years without pain. She has a wealth of experience in managing acute and chronic musculoskeletal conditions, whether they are of spine or extremity origin. Dr. Cochran is described by her patients as knowledgeable, kind, and compassionate. She is well known to have a smile on her face and quickly make you feel at ease. Dr. Cochran’s list of hobbies including traveling to new places and enjoying the outdoors. She loves hiking, camping, paddle boarding, or just sitting back and enjoying the beach. She also enjoys reading and spending quality time with family and friends.